There is one question that has come up at least once in everyone’s life. “How does Santa deliver presents to every single house in one night?”. I was thinking about this dilemma, so I decided to see if Santa obeys the laws of physics. First of all, there are approximately 1.6 billion children under the age of eight. Santa has to complete the entire operation in 31 hours, due to time zones and the earth’s rotation. Assuming 2.5 children are in each household, there are over 840 million houses to deliver presents to. This forces Santa to complete 822.6 houses a second. Assuming that there are 0.26 miles between each house, Santa needs to travel at a speed of 1300 miles per second. The speed of sound is 343 meters a second, which translates to 0.21 miles a second. Santa would be required to travel 6000 times over the speed of sound! This would definitely create a sonic boom. Not being heard or noticed would be impossible. Now for the presents. Let’s say that each child receives only one Lego set that is 2 pounds. Santa would have to carry 321 tons, along with himself, who is most always described as overweight. Santa would need 21,400,000 reindeer to pull his sleigh. 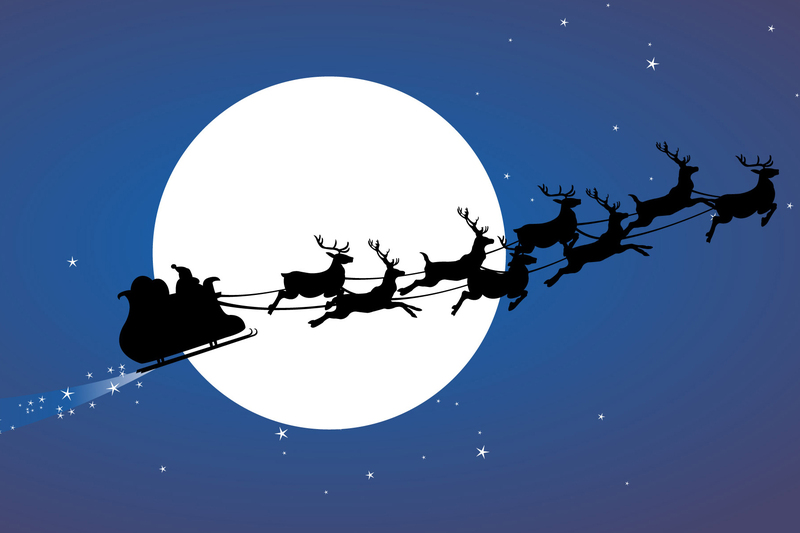 Also, with traveling at 1300 miles a second, Santa’s reindeer would behave similarly to a rocket re-entering earth’s atmosphere – except that they would vaporize. Definitely impossible. I now realize that if Santa’s magic holds the key to defying the laws of physics.